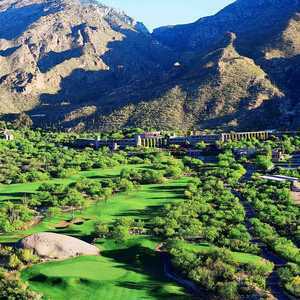 One of two Tom Fazio-designed golf courses at this Tucson resort, the Canyon Course at The Lodge at Ventana Canyon is classic desert golf, set against the backdrop of the Sonoran Desert enhanced by its surroundings of saguaros, deer, roadrunners, quail and birds. 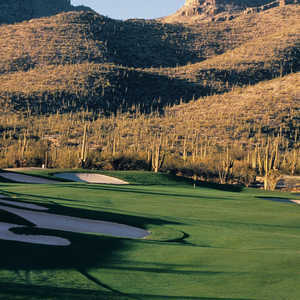 The 6,836-yard, par-72 layout rolls through the Esperro Canyon, incorporating a massive formation known as Whaleback Rock in its design. 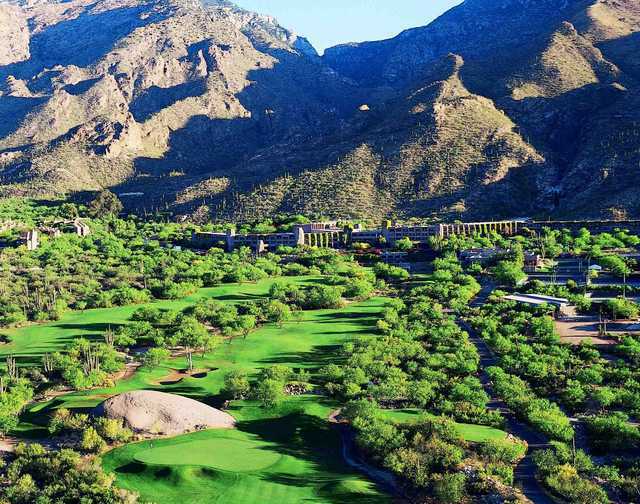 The golf course has several memorable holes, including a couple of difficult par 3s - the 13th and 16th - as well as the reachable par-5 finishing hole, which features a man-made waterfall. 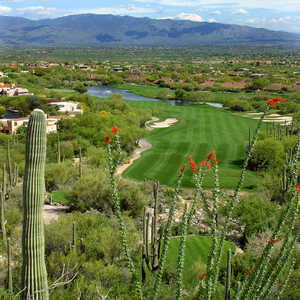 A bit of waking from the parking lot, & confusing to drive from one hole to another but good course, challenging but not extreme, great views, & very well maintained.